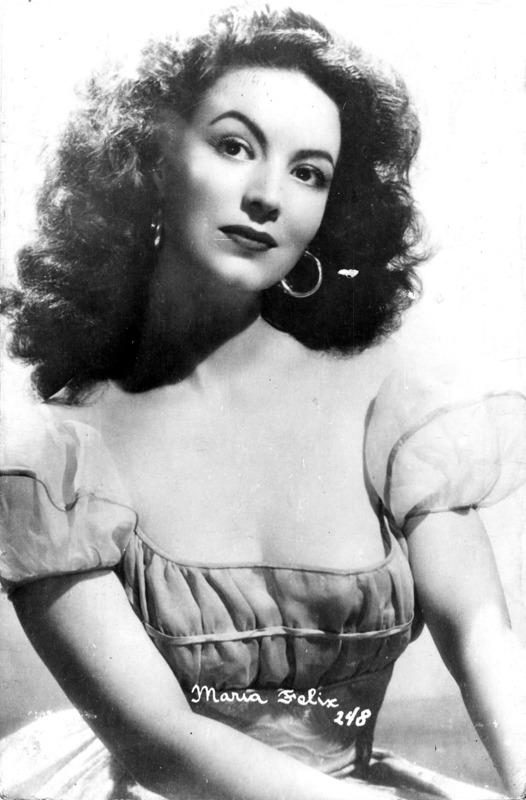 Was Maria Felix the Inspiration for H. Walter’s Ilonka? A couple of years ago, I posted a piece about our painting of ‘Ilonka’ signed by H. Walter. The origins of the dark haired beauty’s painter still remain a mystery (despite a heck of a lot of Googling on my part… what can I say, it’s replaced good old fashioned research). However, some light may have been shed on ‘Ilonka’ herself. 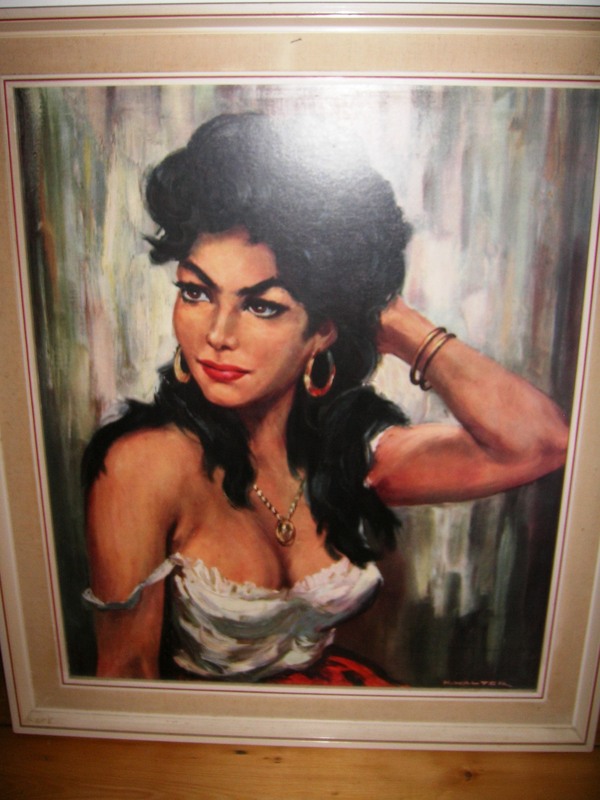 Was Maria Felix the original ‘Ilonka’? 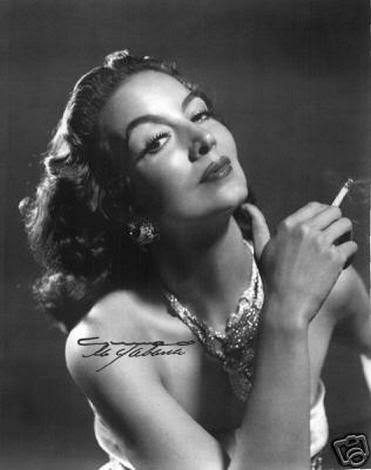 Born on the 8th of April, 1914 Alamos, Sonora, Mexico, María de los Ángeles Félix Güereña was one of the most famous Mexican actresses of the era. She starred in 47 films, none of them English speaking as she always refused to learn English. There’s a fabulous obituary published here about her, which describes her life more eloquently than I ever could. Apparently, she was furious that he had painted her in a see-through dress! 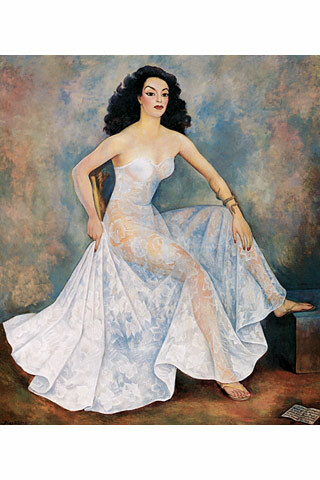 Whatever the truth is – perhaps the elusive H. Walter was inspired by Maria Felix to paint ‘Ilonka’ – Maria Felix herself is a woman worthy of comment and further discovery. By all accounts, feisty, opinionated and highly entertaining; this fascinating woman has brought some Mexican glamour to the hunt for ‘Ilonka’s origins.